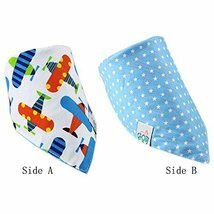 Lovely Cotton Double Layer Saliva Towel Adjustable Baby Neckerchief 1611"
Ships from Hong Kong. 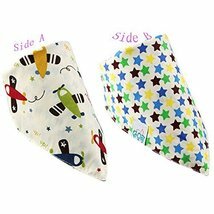 Can be used as the baby scarf, collar, saliva towel, scarf, also can do with clothing accessories! 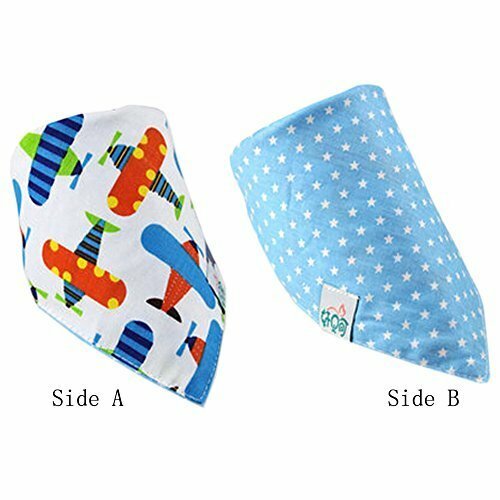 The triangle towel made of double cotton fabric soft and comfortable, feel is absolutely good quality. Buckle adjustable design, convenient to wear. Using environmental printing ink printing surface, the safe non-toxic. 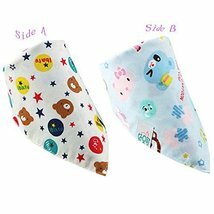 And lovely cartoon prints, baby likes it very much. 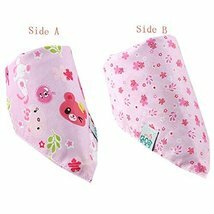 Size: 43*30 CM, 16.9*11.8"
Lovely Pink Cotton Double Layer Saliva Towel Adjustable Baby Neckerchief 1611"
Lovely Plane Cotton Double Layer Saliva Towel Adjustable Baby Neckerchief 1611"
Lovely Bear Cotton Double Layer Saliva Towel Adjustable Baby Neckerchief 1611"